There’s a code of ethics that automatically comes into play in medical offices and employees are cognizant of this. Staff and medical coder are aware that they can’t share personally identifiable information with outside sources, but what they don’t realize is that a casually made comment can also break the bonds of ethics and the law. 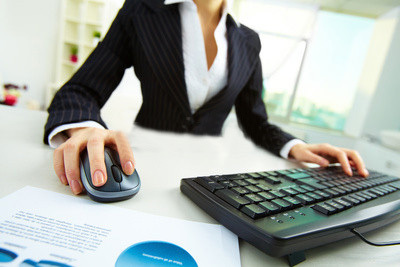 Medical billing and coding specialists deal with confidential information each day. It’s important for them to perform their tasks with alacrity, but it’s imperative that their moral and ethical standards surpass their typing speed. Practice owners want reimbursement claims filed as quickly as possible, but they can’t overlook or tolerate a breach of confidentiality no matter how efficient the medical coder is. Practitioners have a myriad of state and federal agencies with which they must comply or they open themselves to lawsuits. A medical coder who gossips and shares patient information with anyone else is placing themselves at risk, along with the practice owner and the entire medical facility. Penalties can be leveled through civil, state and federal agencies. Don’t run afoul of common, statutory, administrative and case law. There are four law classifications by which clinics’ owner, staff and medical coder must operate – common, statutory, administrative and case law. They can be confusing and vague, but it’s essential that clinicians become familiar with each. A practice is considered common law if it’s accepted as fact by the majority of the population. Common law practices don’t have the force of a governing entity behind them. Statutory law is legislative in nature and can be created at the local, state and federal level. Administrative law encompasses sets of rules made by government bodies or officials that allow them to administer statutory laws. Case law is made by courts when they interpret administrative and statutory laws. The penalties for loose lips are severe. The penalties for breaking confidentiality not only by the medical coder but the rest of the practice staff are significant, far reaching and determined through civil law if a patient decides to sue. The court can rule to award monetary amounts to clients for medical expenses, lost wages and distress. In civil cases, some practitioners choose not to go before a jury, admit no guilt, and settle out of court for a specified monetary amount. Medical coder may find themselves facing misdemeanor or criminal penalties for their lack of discretion, as well as the clinic owner by extension. The consequences are fines and jail time for a misdemeanor. Those who violate HIPAA standards could serve jail time for a felony. Fines in such cases have ranged from $50,000 to over $4 million. Medical coder must treat each client’s data as highly confidential, even if it seems that a particular bit of information is common knowledge. Patients must give permission before their information is shared and they must designate with whom. Those medical coder or other members of the practice who violate HIPAA codes in any way must be prepared for the consequences. Failure to adhere to HIPAA regulations will result in litigation that can damage a practice so severely that it never recovers. Even if everyone, including the medical coder involved, are found innocent, clinicians will contend with a loss of reputation, clients and revenue. No matter how skilled a coder is at efficiently submitting claims, it’s not worth the risk if he or she doesn’t come equipped with a superior set of ethics. Nitin Chhoda shares the status of physical therapy management and practice in today’s economy. Physical therapy management in the new economy represents major changes for therapists, from the treatments provided to monetary reimbursements. President Obama’s aggressive healthcare reform program has changed physical therapy management in the new economy, the full effects of which are yet to be seen. The new goals require physical therapists to think less like service providers and more like business owners, focusing on relating not just treating. To assist therapists, Chhoda offered new insights into management issues in the new economy. Physical therapy management services encompass much more than patient care, scheduling, billing and reimbursements. It’s a total plan that maintains the highest patient care standards, builds reputations, and protects the overall profitability of the practice. To insure those goals of physical therapy management services are met, therapists will need to adopt electronic medical records (EMR) technology, identify cost effective treatments and interventions, and help train a superior workforce for the future. Physical therapy management in the new economy represents major changes for therapists, from the treatments provided to monetary reimbursements. For many therapists, a large portion of their patients may be those receiving Medicare and Medicaid. Physical therapy management will require affordable access to high-quality care that still provides adequate reimbursements for the practice. In the new economy, therapists are facing restrictive regulations and payment policies that effectively separate them from the patients that need them the most. Physical therapists are on the front lines of patient care, working to restore functionality, mobility and quality of life to their clients. As reimbursements decline, physical therapy management will have to include billing and coding changes, and therapists will need to work to identify treatments that achieve the same effect in a more efficient manner. Initiating an electronic medical records system will assist therapists manage their practice on a variety of levels. Electronic billing allows faster reimbursement recovery and greater billing flexibility. EMRs provide comprehensive documentation at a glance, allowing therapists to begin appropriate treatment quicker. An essential part of future physical therapy management will include increasing referral rates and discovering creative avenues for doing so. Establishing closer relationships with physician practices and hospitals, and educating them about the benefits of physical therapy will help facilitate that goal. Training an efficient and knowledgeable workforce will insure a superior level of patient care. Physical therapy management is a multi-faceted endeavor and Chhoda’s new insights provide practice owners with food for thought. Therapists can no longer be satisfied to provide superior treatment. The must identify more effective methods that meet patient needs and enables clinics to remain profitable.